Look What I Found at Sam's Club. The new Penguins DVD!!! So excited!!. HD Wallpaper and background images in the पेंग्विन्स ऑफ मॅडगास्कर club tagged: photo skipper kowalski rico private dvd operation special delivery. 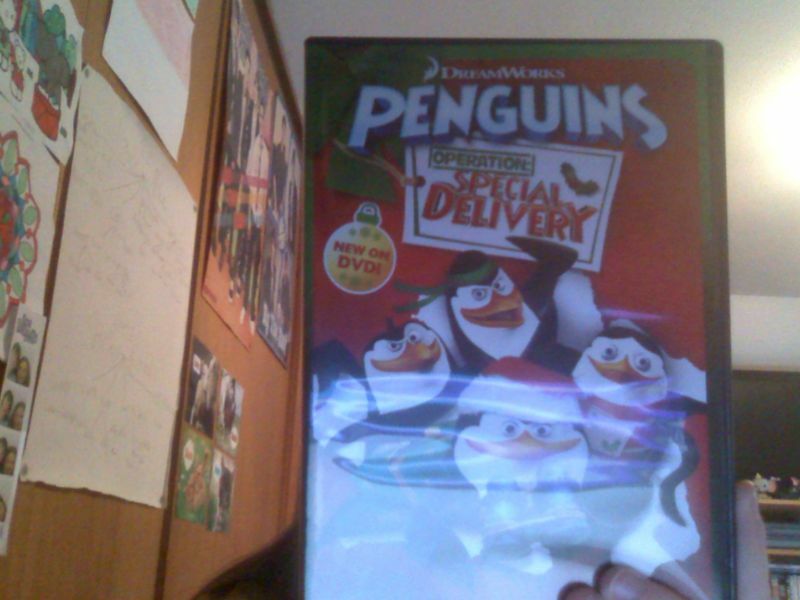 The new Penguins DVD!!! So excited!! This पेंग्विन्स ऑफ मॅडगास्कर photo might contain मोबाइल फोनों के लिए, हास्य पुस्तक, मंगा, कार्टून, एनीमे, कॉमिक बुक, and manga. *GASP* That's awesome! Can you tell me what's on it? I haven't had the chance to order it yet.